See Psylocke’s New Portrait and Exclusive Psionic Weapon! 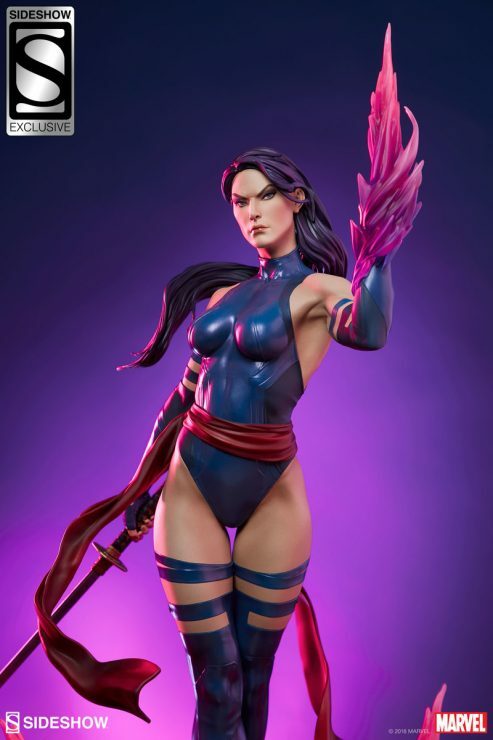 The stunning psionic Psylocke Premium Format™ Figure made her debut in prototype at San Diego Comic Con 2018, where fans were able to get their first look at the next mutant hero joining the X-Men Collection. We are always excited to share these early looks at the prototype figures, proudly displaying our latest projects as we work to create exciting and dynamic new high-end collectibles of your favorite pop culture characters. Now, Sideshow is excited to introduce a beautifully sculpted new portrait for Psylocke, detailed with flowing purple hair and piercing purple eyes, capturing all the focus of her physical and psychic abilities. This portrait will feature in both the Collector and Exclusive editions of the Marvel statue, replacing what was previously seen at SDCC. The Exclusive Edition of the Psylocke Premium Format™ Figure will also include a swap-out left arm wielding a spiked psyblade weapon. Manifested by her mind, this energized psychic construct makes an exciting additional display option for your Marvel statue, matching the pink and purple auras of her psionic power base. 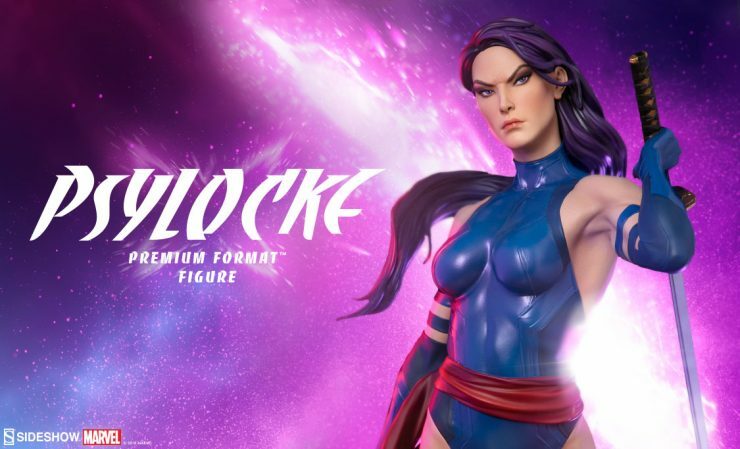 Pre-orders for both the Collector Edition and Exclusive Edition of the Psylocke Premium Format™ Figure will begin on Thursday, September 20th between 12pm-3pm PST. If you want to add the psychic strength of this omega-level mutant to your Marvel collectibles, be sure to RSVP for more information on Psylocke’s preview page. Check out Sideshow’s X-Men collection, featuring notable faces like Magneto, Wolverine, Mystique, and more to create mutant mayhem in your collection!